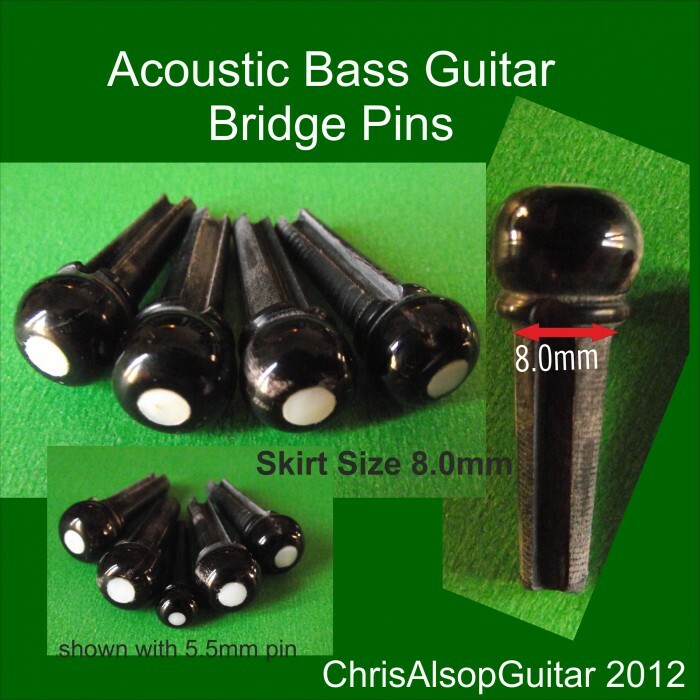 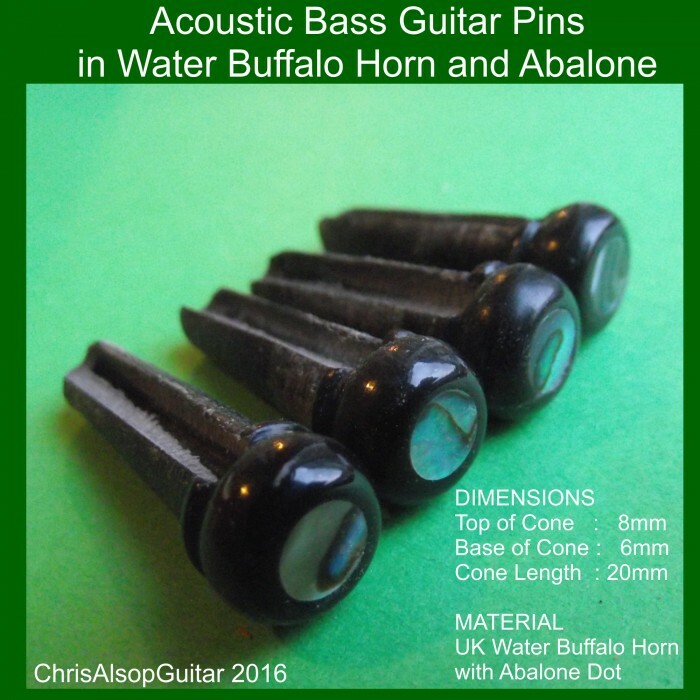 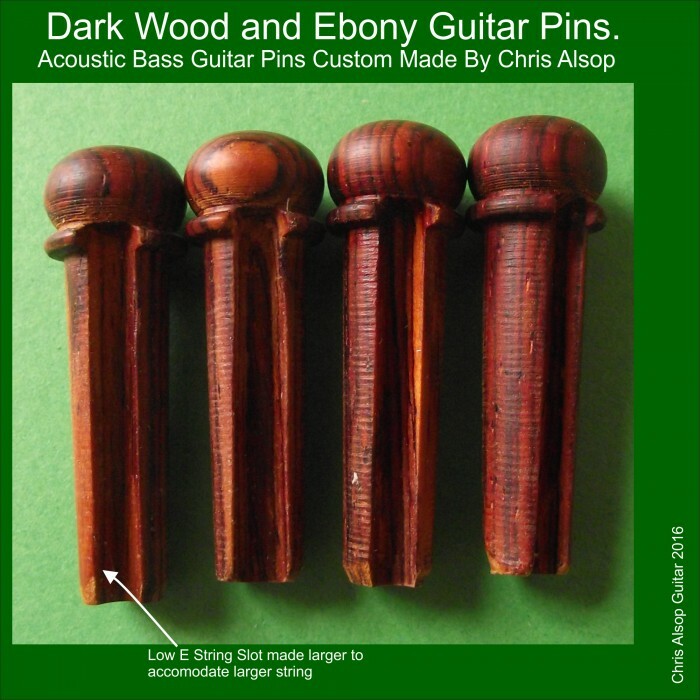 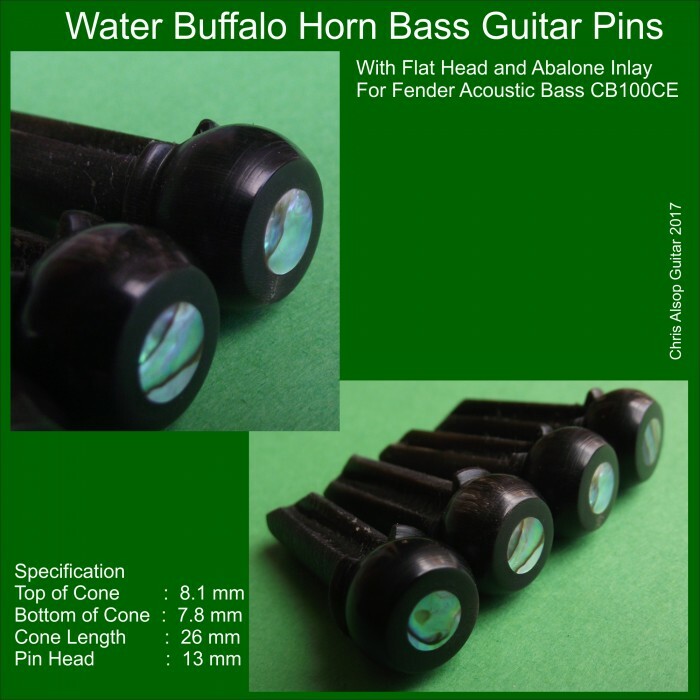 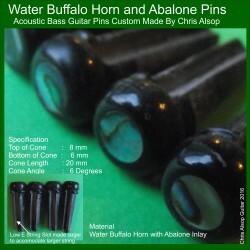 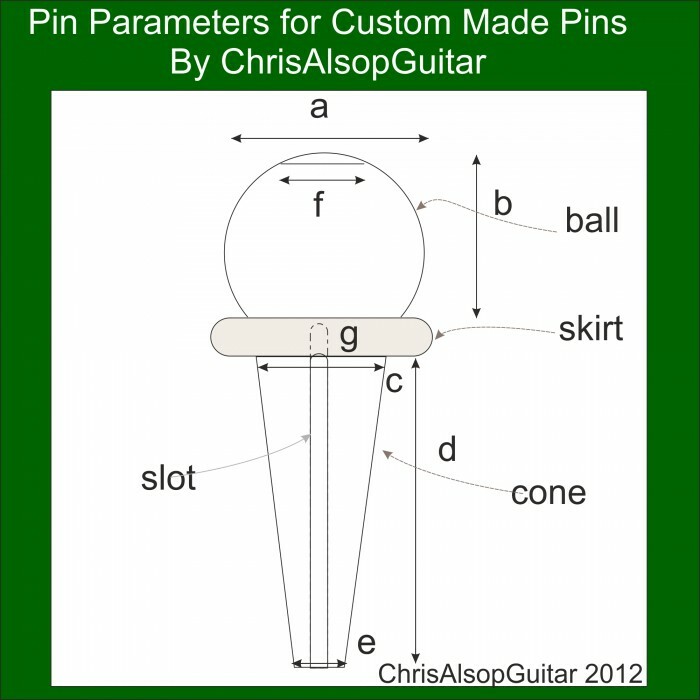 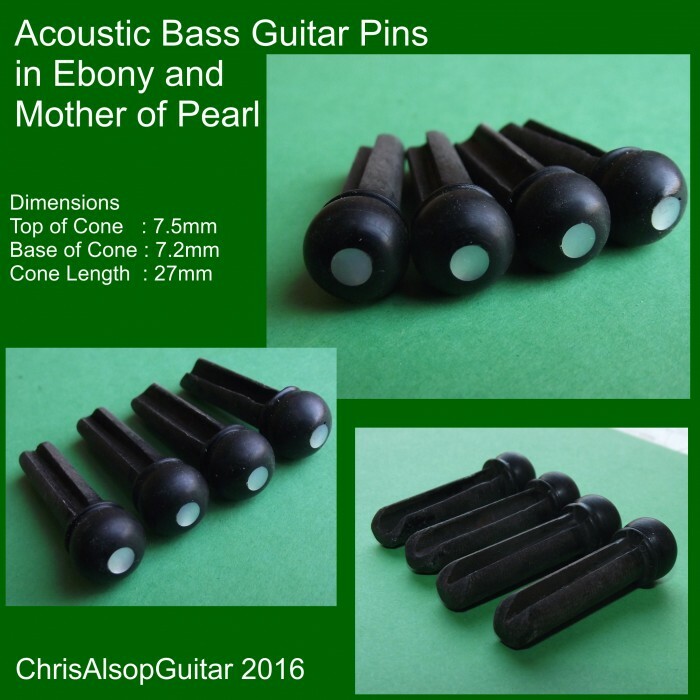 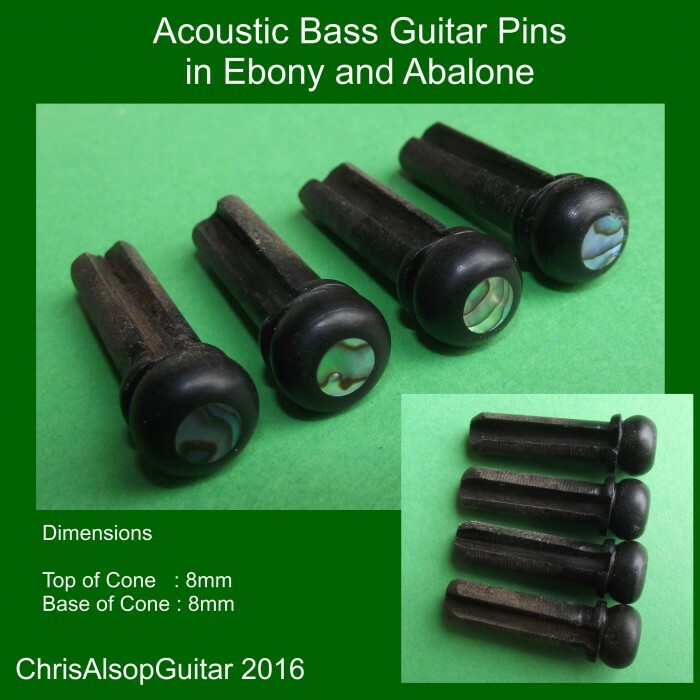 The pins are 8.0mm diameter at the top of the cone, however as these are custom made, then other sizes can be made to suit your guitar. 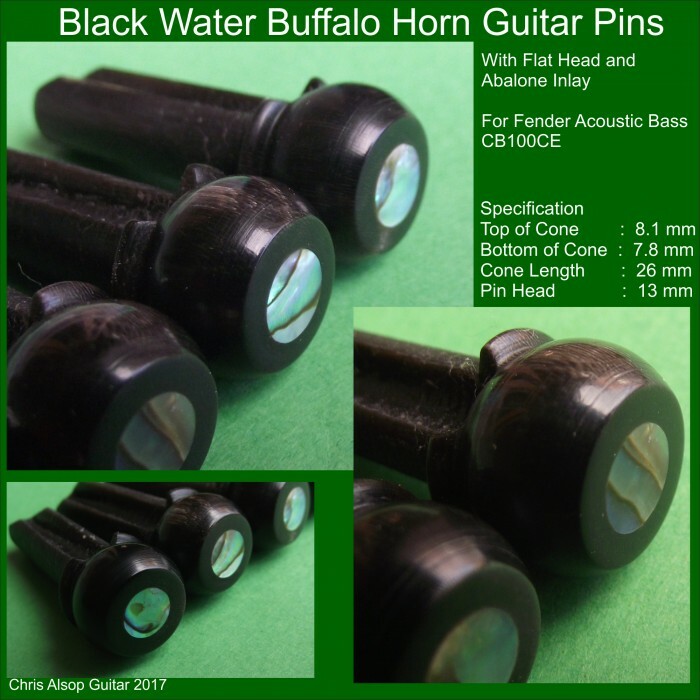 Horn which is dark and polished. 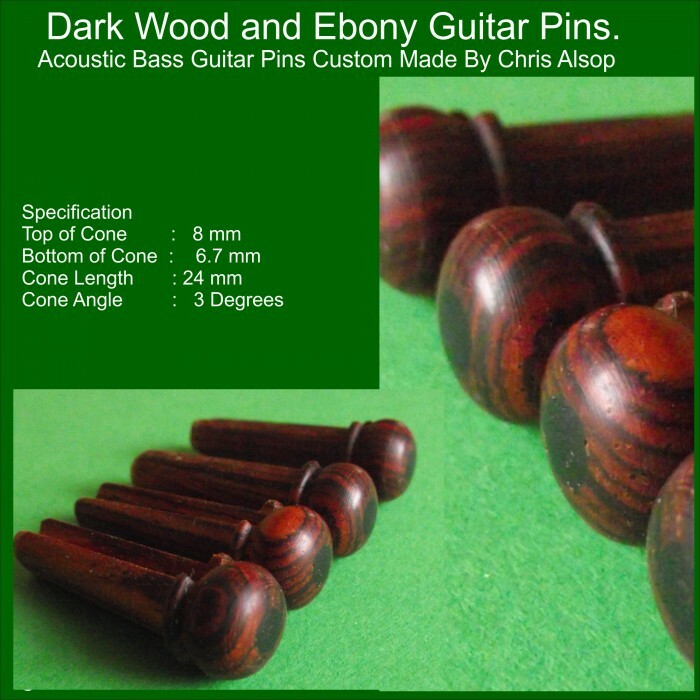 A wide variety of European Hardwoods woods available, such as beech, oak, yew..